Motherhood is funny. Which is why, over the last six months, I’ve started making funny motherhood memes to share on my Facebook fan page. This has been a unique challenge for me. I like words, not making graphics that are visually appealing and likely to be shared because they look awesome-sauce. 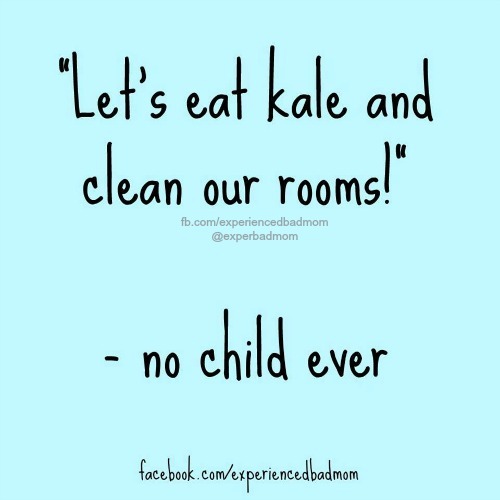 As well, I like LOTS of words, which doesn’t translate so much when concocting funny motherhood memes. The reality, too, is that 19 out of 20 memes make a few people chuckle and then disappear into oblivion. But, rejection is good for the soul! At least that’s what I tell my children. 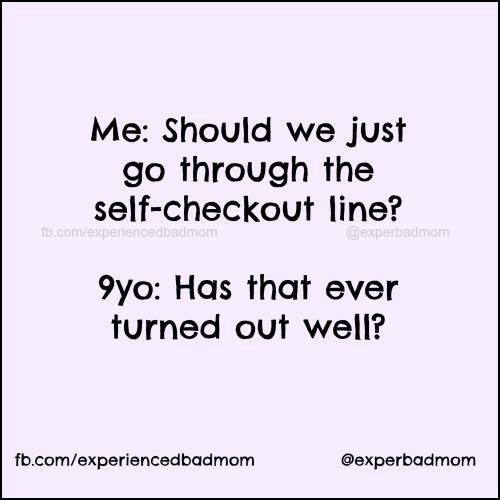 Without further adieu, here are some of my most-loved funny motherhood memes. May they make you smile! To end, I’d like to give a shout out to Meredith over at Perfection Pending. She wrote a great book for bloggers about building your community on Facebook. I wouldn’t have started making my funny motherhood memes and sending them out into the world for adoration or complete rejection without her book. Don’t forget to like my Facebook page where I debut my funny motherhood memes first. Plus, I share a lot of great memes from other funny mothers and sites. We have a fun time! Love these!! Memes are on my top 10 favorite things right now. You’d think so, right? I have no idea why people would try and steal a random, funny thought –and then share it as their own? I agree. Funny thing, some people spoke up when I posted this on Facebook that they never have trouble and what was I talking about. LOL, those are NOT my kinda people! 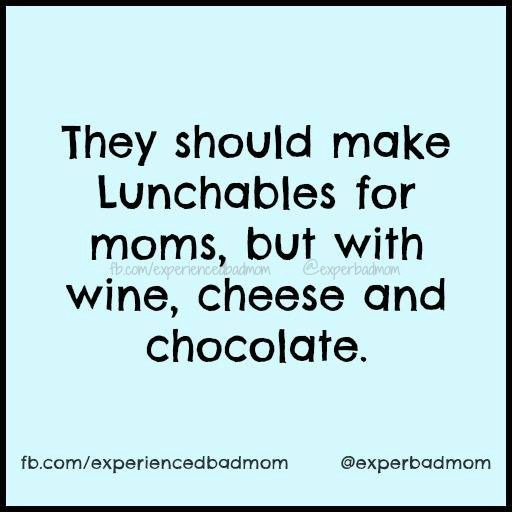 Lunchables for Moms, for the win! Sign me up. Don’t those type of Lunchables just sound amazing?! I’ll take two dozen of those lunchables, please. After you consult with me about the best Lunchables wine pairings, of course! Rabia, NOOOOOOO. My Lunchables one was cropped and shared on a page that had 65,000 likes. The page, not my meme. Someone from one of my blogging groups on Facebook actually went after her, tagging me, and told her to give me credit and she refused! I was both touched by someone defending me, and also flabbergasted that the other person flat-out didn’t give me credit and continued using the cropped version. I love them all!!! 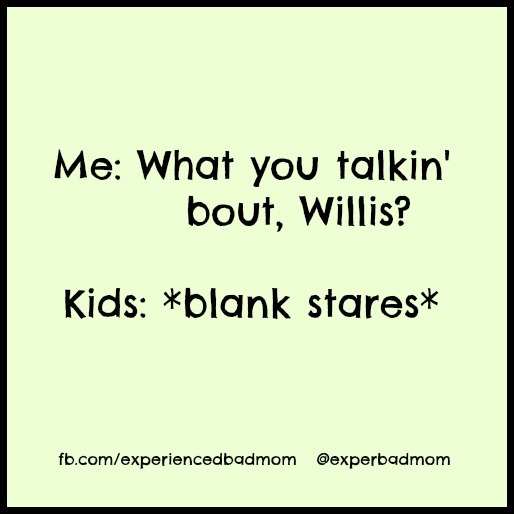 Whatchu talking bout Willis made me laugh so hard. I”m sure my 10 year old would do the same! Haha! I love memes. They literally never get old to me. I just laugh and laugh. Brilliant, love these. 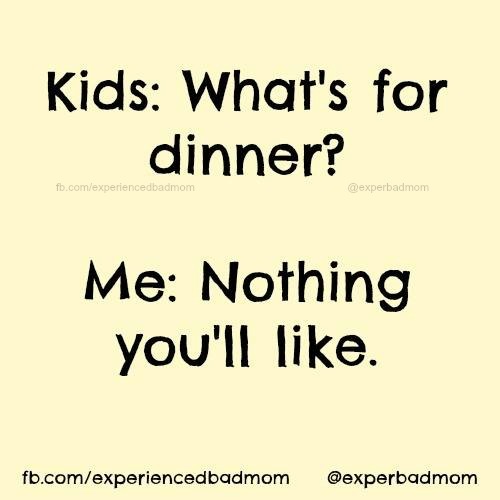 Especially the ‘what’s for dinner’ one! It’s a universal one, that what’s for dinner one! It makes me happy to no end that you get my Diff’rent Strokes ref! And yeah, Meredith is BOSS. “Rejection is good for the soul!” I’m going to have to remember that one. I love these, the Hallmark Channel is especially my favorite! I can’t wait for one of my girls to say that. Hi there, I think you’re doing fine. It’ll all work out. I’m not sure about your comment about liking and following. I think we’re talking about Facebook. Anyone who likes my page can see the things I post in their feed. However, FB is silly. It won’t ALWAYS show your stuff to EVERYONE who likes your page. They have algorithms. That’s why I usually post things at least twice, because it will get seen by entirely different people. Plus, FB really wants us all to pay to boost our posts. I can’t afford that! Hope that helps. I started modernizing and putting my blog out there in 2012. It was a fast and furious year. I was proud for learning so much, but also exhausted and worried all the time about the tech stuff. But we’re doing it!